Even though teardrop trailer designs are usually associated with retro style and classic models of the past, we still see a plenty of all-new entries to the market which get richly equipped with modern tech. In this episode we will show you, those teardrops that have recently gone on sale or will be arriving to the dealers’ lots in the near future. Colorado Teardrops is a small US-based family business dealing in manufacturing of practical and affordable campers. It offers 4 camper models: Basedrop, Canyonland, Mount Massive, and Summit, which feature fully insulated aluminum frame and illuminated cabin with Queen-size bed. MyPod is the smallest teardrop trailer by the Ohio-based manufacturer Go Little Guy. It weighs only 630 lbs and can be towed by almost any vehicle. Aero Teardrops is an Oregon-based family-operated trailer manufacturer that creates a limited number of custom-built units each year. The company’s most recent trailer is called Flora, and it is available for purchase or rent. Go-Pods by 2berthcaravan is a range micro campers that features 4 models, weighing from 1150 to 1510 lbs and costing from $12,500 to 18,500. This is a new 2018 model from Overland Explorer that has an all-composite body and is sold in a limited number of only 10 units in the USA and Canada. BOREAS XT/MXT is a rugged borderline teardrop trailer that super off-road capabilities, sleeps 2 people as standard, and comes with an equipped galley kitchen. Chase Flyer is a dual-purpose caravan that can be used either as a camper or as utility trailer. It weighs from 850 to 1200 lbs and can be towed even by the smallest of vehicles. 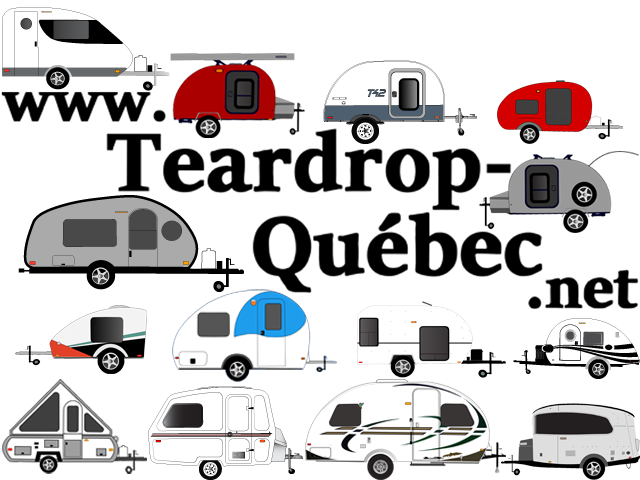 The Teardrop Trailer is an Ontario-based caravan manufacturer that produces three models: Tin Top Woody and Silver Bullet, available two sizes, and Diamond-In-the-Rough Deluxe Model available in 5 by 8 feet size only.